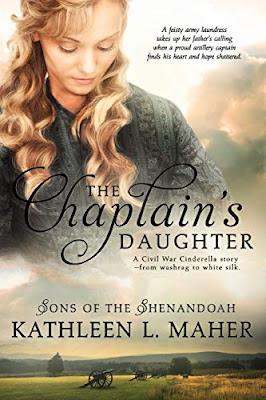 The Chaplain’s Daughter is book two in the series Sons of the Shenandoah by Kathleen L. Maher. This is a well-written story about two souls caught in the upheaval of the Civil War. Can they trust God to see them through this turbulent time? Seemingly abandoned in 1862, The Chaplain’s Daughter, Miss Ellen White has to fend for herself. She finds work as a washerwoman at a field hospital in Virginia until she is pressed upon to help with a badly wounded Captain Gideon Sharpe. After his father, Sam, visits, she agrees to travel with them to Sam’s horse farm in order to nurse Gideon during his recovery. Having sustained injuries that will take a long time to heal, Gideon is brought by his father to the family home. But Gideon wants nothing more than to return to his own home and his twin baby daughters who have lost their mother. Ms. Maher aptly depicts the battle scenes of the war and the resulting nightmares that Gideon experiences. She also shows the strong faith of Ellen, how it permeates her life and how it affects those around her. The author has captured the flavor of the old South and describes what it was like for a family to be on the Confederate side of the conflict. She lets us see into Ellen’s emotions as she makes her way through difficult times. The hardships that Gideon goes through during battle, losing his wife, being injured and feeling inadequate are eloquently conveyed in this striking novel. Be sure to read the story about Gideon’s brother Ethan in The Abolitionist’s Daughter. I like to read about this period in our country’s history and this book is among the best I have read. A feisty army laundress must disarm a grieving Confederate captain's pride to win his heart. A minister's daughter abandoned during war must rely on faith to survive. A wounded widower feels God has forsaken him. Will her devout care bring medicine to his soul or rub salt in his wounds? Ellen White is assigned to attend a debilitated artillery captain after the Battle of Second Manassas. She offers God's strength, but Gideon Sharpe would rather rely on his own. He would prove himself devoted to his motherless infant daughters, the sort of father he never had. Ellen longs for the security of a home and to feel cherished. Can a jaded and broken man be God's plan to fulfill her fondest hopes? Kathleen is generously offering a giveaway of one digital copy. If you are interested, please comment and safely leave your email address. The giveaway offer ends on April 13th and will be announced on the 14th here. Amazing article, I appreciate your article, Thanks for sharing your useful post. Thank you Paula, I would like to offer a giveaway of an e-book to one of your commenters. When should we draw the winner? Thank you Roll Tide. Good luck in the drawing. Hi Bonnie. What s wonderful legacy. Thank you for sharing. I Love this book and I love the first book, too. You have made me a fan of Civil War Historical books. You have such beautiful descriptions and your research is unbelievable. And I think what impresses me the most is your unbiased accounts from the North and South. It makes the reader truly understand what the characters were feeling. What a wonderful book! I would love to read it. My usual e-mail is bettygreynolds@yahoo.com. Thank you for the chance to win. And thank you for coming and entering! Good luck. 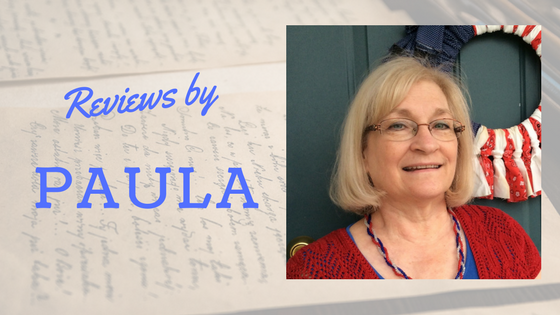 Great review Paula! I haven't read too many war stories and you make this sound like a must read. Kathleen, thank you for your generous offer to gift an ecopy to one commenter. How fun is that? I'm a day late but thrilled to see so many comments! Kathleen is an incredible writer and Io'm hoping that more and more people will find that out by grabbing this series! And the winner, drawn by random.org, is Betty R. Congratulations, Betty. and thank you to everyone who came by and entered. Thank you so much Paula and Deb for having me on the blog. You are all blessings! Thanks Kathy and Congratulations to Betty R!